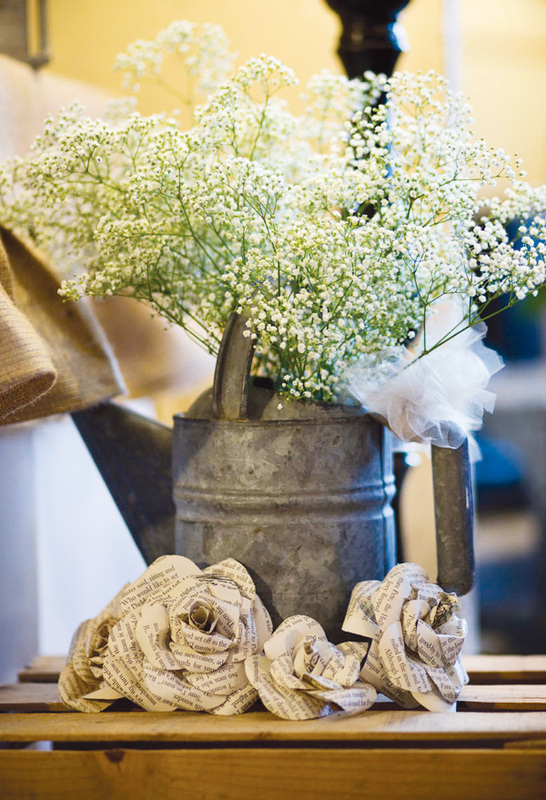 These pretty paper roses are such a sweet, rustic touch! This photograph is from a wedding but would be equally nice at a birthday party or baby shower. View lots more of the loveliness at Hostess with the Mostess. And for a tutorial on how to make paper roses like these, visit 100 Layer Cake.